HAND has extensive experience in Oracle ERP Cloud solutions. Hand Enterprise Solutions is recognised as “The Best Saas ERP Solutions of the year 2017 in Asia” and “The Oracle Cloud Excellence Implementer” by Oracle. 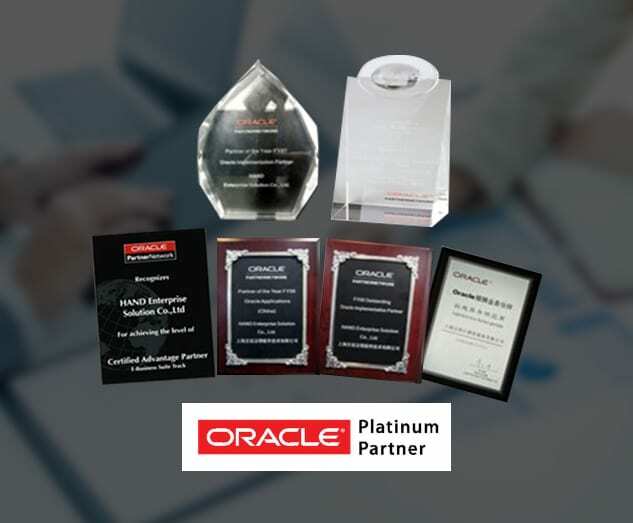 Hand Enterprise Solutions is the Platinum Partner of Oracle. Our customers come from a variety of industries – electrical, automotive, machinery, aerospace, chemical pharmaceuticals, construction, telecom, insurance, financial service, e-commerce, etc. To date, we have delivered 80+ live ORACLE Cloud projects and still counting. 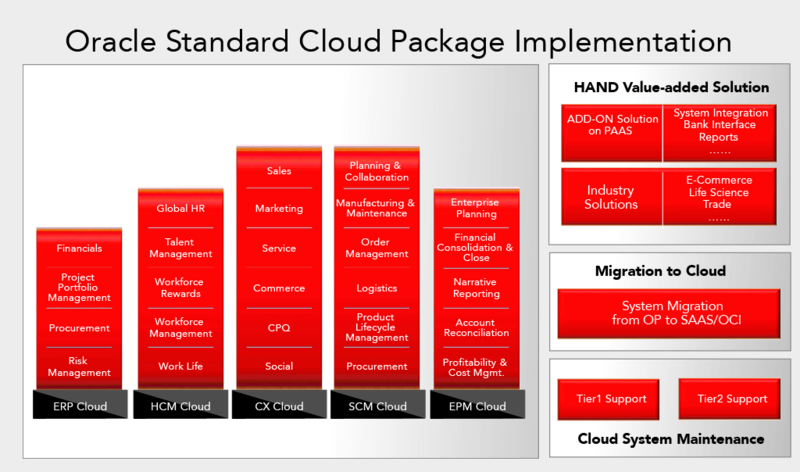 We offer 5 types of Oracle Cloud applications – ERP Cloud, HCM Cloud, CX Cloud, SCM Cloud and EPM Cloud. Value-added solutions are available for PAAS add-on and industry solutions. We have helped enterprises migrate their system to CLOUD and have provided Tier 1 and 2 support. For More Information, Talk to Our Experts.